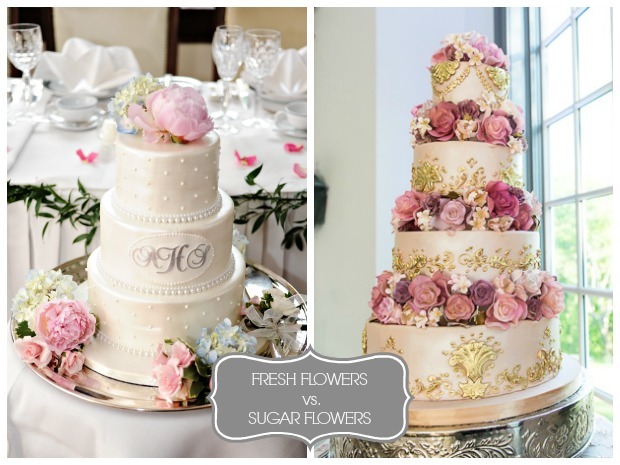 During the design phase for a wedding cake, we always stumble upon the subject of real flowers versus sugar flowers, or gumpaste flowers as they are known as in the industry. Is one better than the other? Is one less costly than the other? Given how often we are asked, I’ve compiled a list of pros and cons to help make the decision easier. We hand make all of our sugar flowers here at I Do! Wedding Cakes. It’s another expression of our creativity as each flower and petal is individually cut and formed, and custom dusted with an endless variety of coloured petal dust available to us. 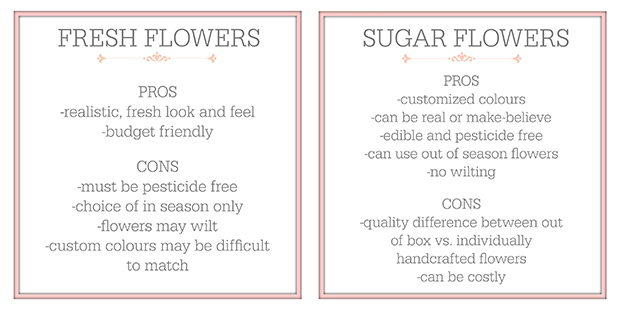 It’s important to understand the cost difference between using real flowers vs. sugar flowers, out of a box vs. handcrafted sugar flowers made unique by each skilled sculpting artist. Cost = final product, you’ll have to decide what’s most important to you.